By Wayan Vota on August 11, 2011 | Comments Off on How Can Social Capital Expand ICT4D? A new form of capitalism is arising that recognizes our ability to direct the power and efficiency of market systems toward social impact, leading to a more balanced set of “returns”. This social capital market is real and growing, and has real impact on emerging economies. But does it impact ICT4D? How can technology companies leverage social capital for greater impact? And can NGO’s and nonprofits that focus on technology also benefit from the flow of capital towards social good? 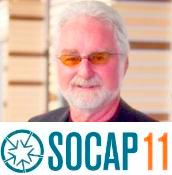 Join Kevin Jones, Co-Founder of the SoCap Conference and Good Capital, as he shares insights on the opportunities, challenges and prospects for social capital to advance technology interventions in the developing world.